92 Games, 19 Rounds, 10 Teams - It all comes down to this! 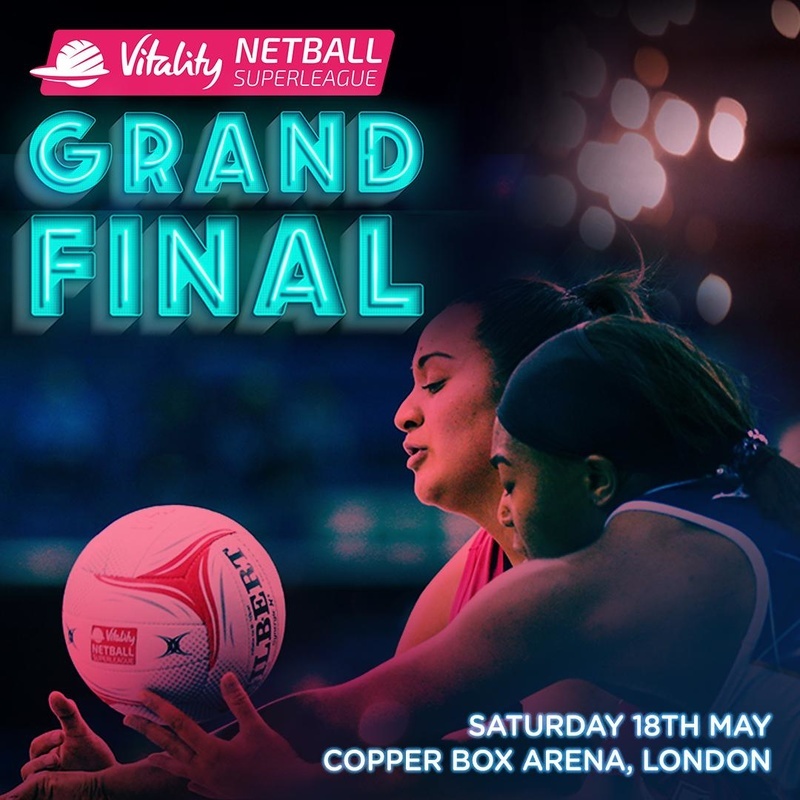 With players fighting to write their name in Vitality Netball Superleague history you do not want to miss the pinnacle of the 2019 season. Four elite teams, two games and one title to win, make sure you join us for the Vitality Netball Superleague Grand Final. Not only will you have the opportunity to see who will be crowned 2019 champion after 19 gruelling rounds, but you will also get to see the return of the third and fourth place play-off. Don't miss this opportunity to see the top four sides in the country as they take to the court for one last time this season. with our Courtside Hospitality seats. Get up close to the action and take advantage of our exclusive VIP area. What's included? To purchase wheelchair and companion / accessible seating, please call 01509 277 850. Lines are open 9am - 5pm, Mon - Fri.